Sash in the City: RESTAURANT: It's a Bird! It's a Plane! It's....a Flying Banzini?? 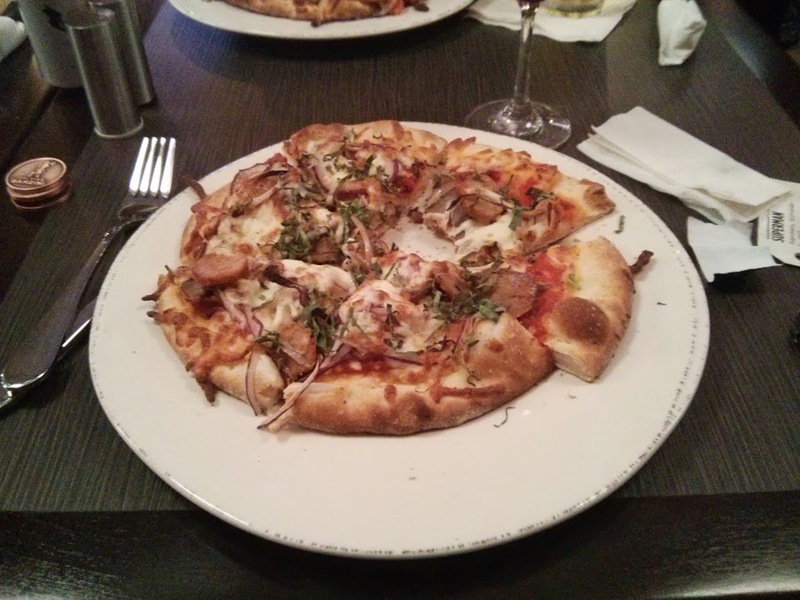 It's no surprise that I'm a big "foodie" and love to discover new culinary stops in Ottawa. For just over a year I've been following Dave Sherf's (Mr. Flying Banzini) journey from a great restaurant to it's fruition. I was one of the lucky few who was invited to a "soft opening" of The Flying Banzini last night in the former home of Collected Works Bookstore in Westboro. My first thought when entering was how incredible the transformation is. Dave has put a lot of work into the space and you can really tell how much of himself is present in every detail. The restaurant has an "order at the counter" set-up, however once we were comfortably seated, I quickly realized that The Flying Banzini had a way of making you forget that you'd ordered at a counter. It has very much that "sit down restaurant" feel. Every little detail was thought out by Dave when conceptualizing his restaurant. From the movies projected on the wall, to the stellar playlist drifting from the speakers, the vibe is nostalgic yet hip. 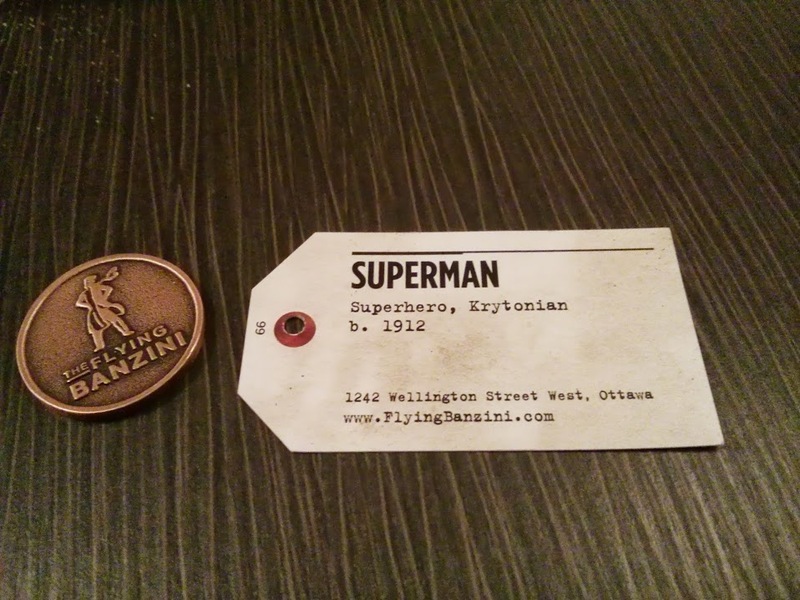 Two of my favourite things about The Flying Banzini (and I have a lot more favourites) are A) The Cheesecake coins and B) The name tags. Every customer, upon ordering gets a cool nametag so you can be identified when your food is ready. Not only are you given a super awesome name (in our case we were with Superman) but there's trivia on the back! 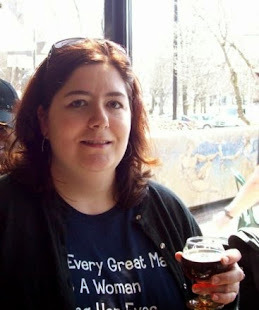 And I LOVE my trivia! And now on to the food!!!! WOW - I had the Little Less Conversation pizza (Crumbled Flying Banzini sweet fennel sausage, porchetta, roasted apples, fresh sage, pickled red onions, San Marzano tomato sauce, and mozzarella.) which was delicious. The crust had just the right ratio of crunch to softness and the ingredients were fresh and savory. Overall, one of the best dining experiences I've had in awhile. Impeccable service, delicious food and a great atmosphere. I've already made plans to go back with my co-workers. If the "soft launch" was that great I'm looking forward to experiencing the real thing! !